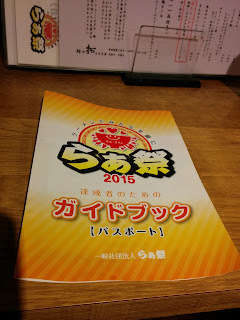 On my visit to beloved Menya Taku just a few days ago, I discovered that one of the former chefs started a new shop. 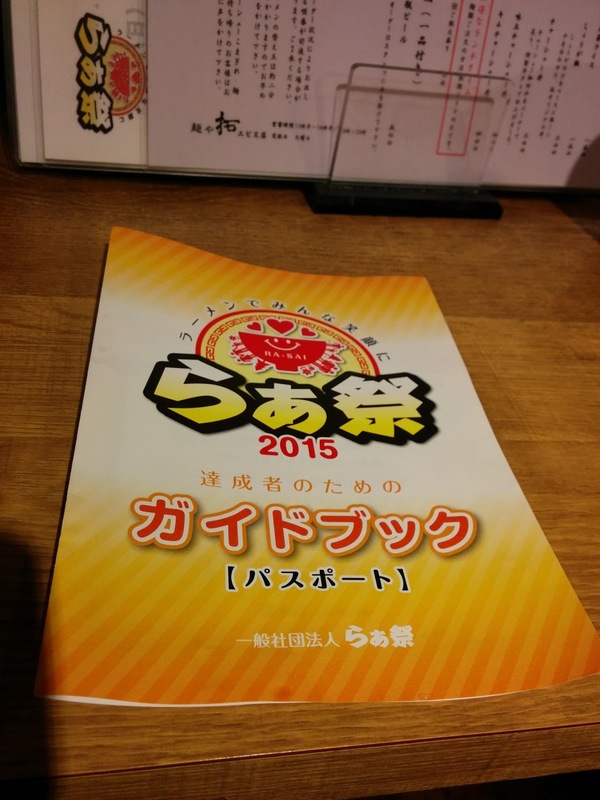 Called Ramen Igei, the shop follows in Taku's steps by specializing in tonkotsu gyokai ramen. 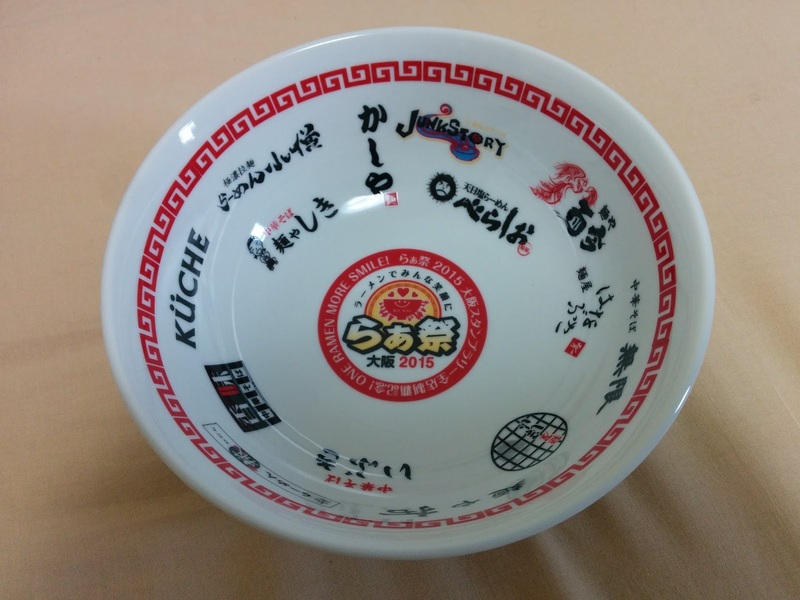 I made my way to the far side of Nakatsu and ordered a bowl. This was a broth where the fish came first, and the tonkotsu second. It was rich if not super thick, and doused in fish powder. The surfeit of onions and sprouts kept the flavors in check, accompanied by some extra-long, woody menma. The noodles were thin and hard, almost like Hakata noodles, which was unusual in this kind of kotteri broth, but wasn't bad. There was a massive slice of chashu hiding beneath the waters, solid and porky. It was good, but why head all the way out there when Taku is so close? It's worth a check for Taku lovers. Well, this is it. The time has finally come. 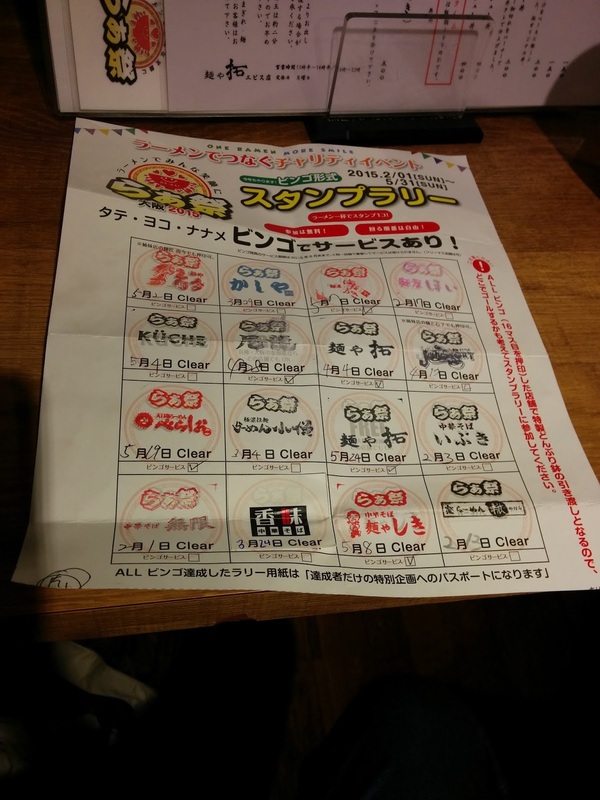 I have completed the Osaka Ra-sai Stamp Rally! It took a while and there were times I had doubts, but I'm happy to have hit all sixteen shops. 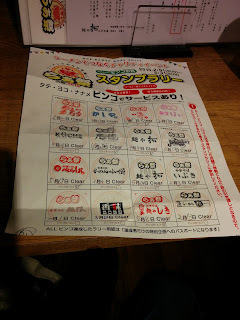 In fact, the last space I filled on my bingo card was a free space, meaning it could be fulfilled by any shop. And what better way to go out then with Taku? 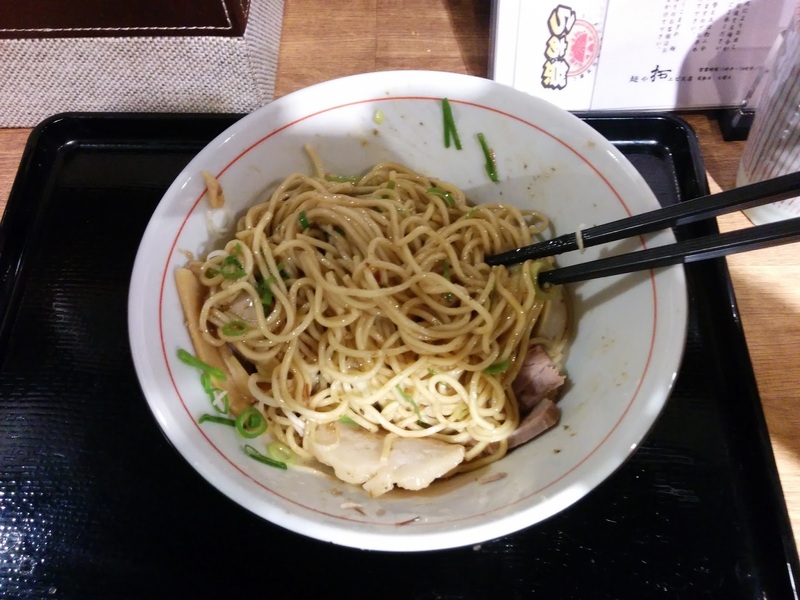 For once I tried the abura soba at Taku. 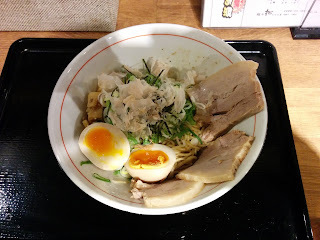 It was simple, missing the rich flavors of the ramen I love so much, but still with fish powder, bonito, and a creamy egg. I can't say I prefer this to the ramen or tsukemen, but it was a nice way to get a taste of Taku without feeling bloated for the rest of the day.